Don’t let Carlo J. Caparas’s appearance fool you. Trademark dark sunglasses, a baseball cap to pacify his long wavy black hair, and a denim jacket to go with a pair of jeans—Caparas seems like your typical working-class neighbor struggling to make ends meet. But scratch the surface and you’ll find one gem of a pioneer who has done so much in promoting homegrown literature through graphic art, which in the past was considered unconventional, even snubbed as bakya, in the face of traditional media. Carlo J. Caparas’s life is an inspiring tale of rags-to-riches worth retelling many times over. Burdened by poverty, with a jobless father to boot, Carlo had no choice but forgo his high school education to help augment his mother’s meager earnings as a laundry woman. He took on a string of odd jobs—water carrier, boatman, construction laborer, factory hand—and dutifully did his share in supporting not just his parents but his eight siblings as well. Dropping out of school, however, didn’t hinder Carlos from nourishing his passion for reading. A voracious bookworm, Carlo intentionally did not surrender his library ID so he could have continuous access to the wealth of reading materials stationed at the shelves. But this clever tactic came to an abrupt end when he was spotted by the school principal inside the library. Carlo’s fondness for reading indeed may have prompted him to apply as a security guard in the Carmelo and Bauerman Publishing in Makati. Soon, all the books, magazines, and other literary materials being printed by the company were at his disposal. During his graveyard shift from 11:00 p.m. to 7:00 a.m. daily, Carlo kept himself awake by reading even the books that had not yet reached the bookstores. During a company strike, the then-19-year-old security guard was hit by a stray bullet in the heel, forcing him to rest and recuperate. The downtime provided the perfect opportunity for the injured security guard to practice all those long hours of submerging himself in the world of books. Almost instantly, Carlo discovered his knack for storytelling. “Citadel”—the first Carlo J. Caparas komiks story was serialized in Superstar. Heeding his call, Carlo immediately immersed himself in writing and creating original characters. From the 1960s to the ’80s, popular komiks saw a phenomenal increase. Commissioner Joe Lad Santos of the National Commission for the Filipino Language said that there were as many as 100 komiks—with Pilipino Komiks, Hiwaga, Pinoy Classics, Aliwan and Tagalog, to name a few—leading boom market. There’s a claim that Filipinos aren’t inclined to reading, particularly text-rich materials. Yet critics and scholars had to acknowledge, albeit grudgingly, that komiks—with its straightforward and mass-based narrative delivered in vivid illustrations—somehow mended the “reading malady” of Pinoys. 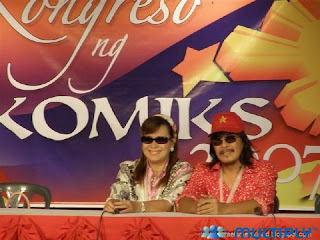 Stating the figures to drive home the point, Santos proudly said that circulation of top-selling komiks was around 250,000 to 300,000 copies each, nationwide. And no one benefited more than Carlo J. Caparas. In a moment of retrospection, Carlo good-naturedly boasted that there were times when he was writing 36 hit novels—all published. Inevitably, local pop culture flourished as original Caparas creations such as Panday, Andres de Saya, Totoy Bato, Bakekang, Tuklaw, Pieta, Maestro, Lumuhod Ka Sa Lupa, Kahit Ako’y Lupa, Kamagong, Kamandag, among others, found their way into Pinoy consciousness. Even film producers got caught in the fever and made movies inspired by komiks stories. By the time he decided to hang his pen in 1987 to concentrate on being husband to his wife Donna Villa, Carlo already had an astonishing 800 komiks novels tucked under his belt. The coming of the digital age and the increasing popularity of television, pocketbooks, and glossy magazines gave the komiks industry a severe blow. Declining interest and readership steadily wiped out all the titles off the market. But good ideas have an incredible ability to withstand time. Interestingly, the new millennium stirred the fascination of audiences, upon the prodding of producers and networks, with fantasy stories translated into television series. References to serve this purpose can be found—where else, but in the komiks series that held previous generations spellbound. Modern technological advancement helped greatly in making each sequence more vivid and realistic. But more importantly, the brains behind these creations are being given their much-deserved recognition before a contemporary audience. Along with Caparas—whose three creations Panday, Bakekang and Kamandag were all made into TV series—the works of Francisco Coching (Pedro Penduko) and Mars Ravelo (Darna, Captain Barbell), among others, are being revived, attesting to their lasting appeal. Recognizing the perfect opportunity to resurrect the industry that made him a household name, Carlo J. Caparas recently launched a new batch of Komiks series meant to reacquaint the public with local graphic literature. 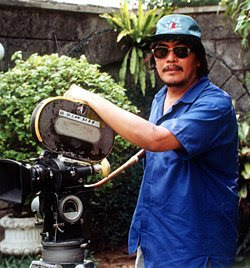 It was Carlo J. Caparas, the Komiks King no less, who kicked off the current trend of movies-adapted-for TV. The endless parade of Caparas TV hits goes on — with more coming! The good thing about Carlo (who has been awarded for enhancing the National Language) is that he — and his wife Donna Villa — have kept themselves above the never-ending network war. Thus, Carlo happily crosses boarders while maintaining his “neutral” stance and identifying himself neither a Kapamilya nor a Kapuso. As they would say, trabaho lang, walang personalan. The trend started a few years ago with the FPJ classic Ang Panday which Carlo entrusted to the Kapamilya. Jericho Rosales was, well, good enough in his performance even if he suffered from comparison to Da King. Currently on the Kapamilya mid-afternoon slot is Pieta, with Ryan Agoncillo not quite measuring up to the unforgettable performance as a bad boy of the late Ace Vergel. On the Kapuso station, Carlo’s Totoy Bato (with Robin Padilla giving the FPJ original a refreshing new touch) continues to rule the ratings just as his previous works did, including Kamandag (with Richard Gutierrez), Joaquin Bordado (Robin Padilla; former Sen. Ramon Revilla was the original), Bakekang (Sunshine Dizon, after Nora Aunor) and Ang Babaeng Hinugot sa Aking Tadyang (with Dingdong Dantes and Marian Rivera, ending in two weeks time). Coming soon: Valora, Gabriel, Elias Paniki, Tuklaw (the man with a snake twin played by Richard Gomez in the movie), To Have and To Hold, Kahit Ako’y Lupa and Somewhere (the memorable romance-drama movie starring Lorna Tolentino and Rudy Fernandez). Funfare learned that ABS-CBN execs had a meeting with Carlo and Donna over the weekend. It’s not known which of the above-mentioned obra-maestra ABS-CBN is interested in. 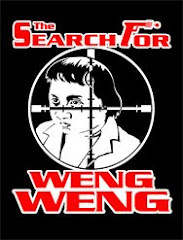 The mark of the man is indicated in the way the movies-turned-TV-series are advertised/publicized — always with the words Carlo J. Caparas’ before the title, just like they do it with the works of Stephen King, Alfred Hitchcock, Steven Spielberg and a few others. After the parade of movie/TV hits, what next for the Komiks King? Could it be true that some political parties are wooing him into running for...congressman or senator?